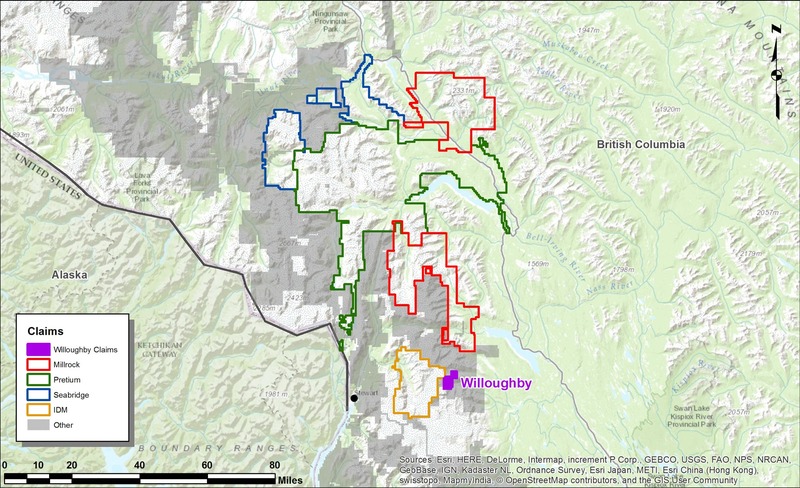 VANCOUVER, BC--(Marketwired - June 10, 2016) - Millrock Resources Inc. (TSX VENTURE: MRO) ("Millrock") announces it has purchased the Willoughby high-grade gold prospect from John Bernard Kreft of Whitehorse, Yukon, Canada. The 995 hectare claim block is located three kilometers east of the Red Mountain development project operated by IDM Mining Ltd. (TSX VENTURE: IDM) and eight kilometers south of Millrock's Poly property and the LNT property, which Millrock has an option to purchase from Teuton Resources Corp. (TSX VENTURE: TUO) along the Del Norte trend. Highway 37A lies fourteen kilometers to the north. The town of Stewart, British Columbia lies 27 kilometers to the west. Note: The Qualified Person ("QP") has not inspected the drill cores. No check assays have been performed.The QP does not have inadequate information to determine whether the reported intersections represent true widths. The results presented are historical in nature and cannot necessarily be relied upon as accurate. The drill hole information was sourced from the following assessment reports, which are in the public domain. Gregory A. Beischer, Millrock President stated: "The prospect is in steep mountainous terrain on the eastern edge of the Cambria Icefield. The terrain will present challenges, but also opportunities. Glaciers have been rapidly receding over the years since the last exploration drilling work was done in 1995. Much more may now be visible and accessible. The gold grades intersected by previous explorers are quite high. We look forward to following up on the discoveries made previously." For a complete overview of all of Millrock's Golden Triangle projects, click here. 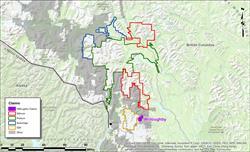 Claim map of Golden Triangle with recent Willoughby acqusition in purple.